I’ve always wanted to save the world; to solve all of its problems with my effort. I have always hated to see people suffer, or to see them not living as full a life as they ought. Since a very young age the most logical method of doing this seemed to me to be theoretical physics. It is indeed the most fundamental science. Stretching from the tiniest particles to the largest expanses of the universe, it seeks to consolidate all things into one general unified theory, always striving after “the secret of the universe.” Before I had become a teenager I was delving into this field of study. Finding this secret; unlocking the key to the physical universe would certainly save the world, would it not? Well, in High School I realized I was not going to achieve my goals in this area. So I became a little more practical. I turned my efforts towards engineering and inventing. Surely if I could only discover an abundant energy source, an easier means of transportation, and better construction methods, all of the world’s problems would be solved. To this end I pursued my degree in Mechanical Engineering from RPI, and poured thousands of hours into researching, designing, prototyping, and applying for patents on inventions I had conceived. I worked for GE Energy and GE Global Research. I took classes in entrepreneurship and inventing. This combined with my theory that right legislation would save the world. I educated myself in every political hot-topic and spent countless hours racking up thousands of posts on internet forums debating them. I campaigned for causes and for politicians and became involved in every controversial happening I could find. With the right machines and the right laws to encourage them and enable them, we would surely see victory! Late in college I realized I would not be successful in these strategies, either. But something else happened around these years; my Catholic awakening. I was leading a typical life of promiscuity, debauchery, intemperance, apathy, and the like until then. Toward the beginning of freshman year I saw these sins tearing me apart and finally vowed to radically change my life forever. NOW I had really found out how to save the world. I would take these lessons I had learned; these lessons of sexual purity and faith in God, and save the world by letting everyone in on it. I started apostolates and clubs, wrote articles, gave talks, made YouTube videos, and talked to my friends about these pressing issues. As I was graduating college, I realized that these arguments, also, would not save the world. But now I am onto the next step in my efforts to save the world. And that is to realize that I cannot save the world. I cannot, but Jesus and His mother can. I now realize that God does have the solution; one overlooked even by most Christian and Catholic apologists, and certainly overlooked by the so-called movers and shakers of this world. He gave us a solution, and we ignore it at our own peril. The solution is His mother, that woman whom Satan fears even more than God. That woman who we infallibly know will crush the serpent’s head. Mary Immaculate, the pinnacle of all creation. The Queen of the Universe. The Mother of God. Our mother. How did I not know this earlier? Well, I grew up in modern Catholicism. You could describe it in many other terms; protestant Catholicism, professional Catholicism, worldly Catholicism, cultural Catholicism, feel-good Catholicism, effeminate Catholicism. It is the type of Catholicism that appeases everybody, pleases everybody, sedates everybody, and saves nobody. In 20 years of going to Church most Sundays, I never heard of an apparition, the rosary, the scapular, the need for confession, or even the existence of daily Mass. I probably passively believed that God ceased speaking to man after Jesus ascended. But now I know that God has not left us as orphans. He has sent us His mother. It is due time that we cease placing trust in the world and turn to her. 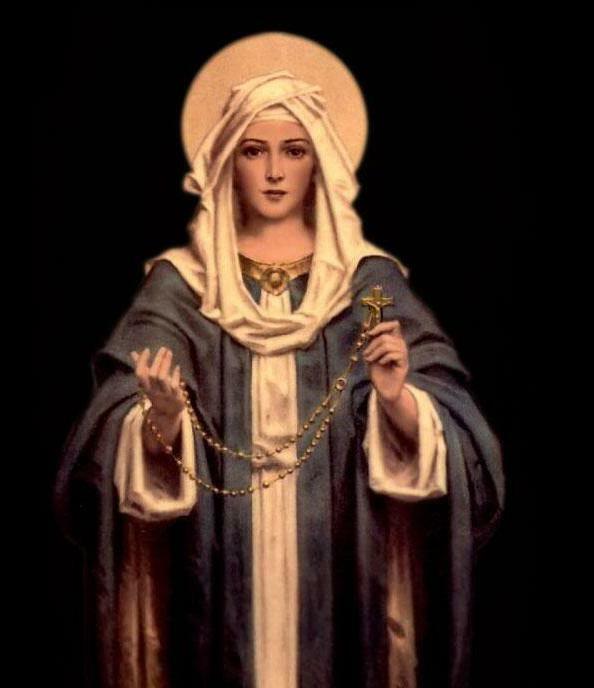 She will lead us to the mercy of her Son, but there are only a few grains left in the hourglass for the Time of Mercy. I do not reject any of my former methods. I certainly still spend much time arguing for virtue; for purity, for faith. I still tinker with inventing, and even sometimes find myself pondering abstract physics. But I thank God that I never discovered that secret to the universe, and never invented that boundless and cheap energy production machine. Perhaps, if I did, I would never have reached the point where I am now. The point where I am truly saving the world, because I pray the Rosary every day.